Although myself and Elias Chatzialexis we were both writers for Metal Invader magazine back in the mid 1990s to early 2000â€™s, we only briefly met a couple of times in the past. I always liked his reviews mainly because they were about obscure and unknown bands that I also loved. As a matter of fact, I discovered quite a few bands because of him soâ€¦ cheers mate! 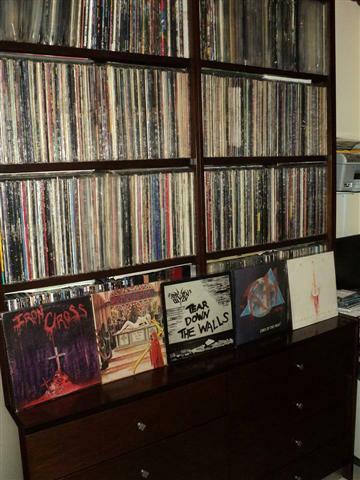 Elias has a great collection of vinyls and CDs. The impressive thing is that most of his stuff and especially his vinyls are extremely rare. It is the kind of stuff that appears in the market once in a lifetime if everâ€¦ When this interview was taken Elias was 43 years old and worked at a small construction office. Apart from Metal Invader, Elias was also editor-in-chief for Heavy Metal Collectors! magazine. When did you realize that you are becoming a collector of Metal CDs, LPs and stuff? You donâ€™t realize that you are becoming a collector. 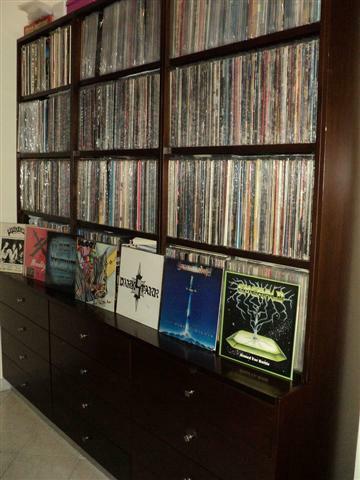 To me everyone that has more than 50 to 100 LPs and/or CDs and still buys IS a collector. It does not matter how big a collection is. Right now how many items you own and in what formats? Do you focus on collecting a specific genre, artist or format? Mainly Heavy Metal and Hard Rock/AOR. I also like U.S. Thrash/Speed bands. Never liked Black or Death metal. By country. U.S. (and Canadian), NWOBHM, Scandinavian, German, Central European, East European, Greek etc. I have 2 big made to order pieces of furniture that have selves for the LPs and drawers for the CDs and the 7â€s. Do you keep a file or an index of your items? In what format? Do you also use any special software you can recommend? I used to have an Excel spreadsheet. But it is a long time that I have not updated it. What was the very first item of your collection? My first vinyl LP was back in 1982, "In Tranceâ€ by Scorpions. Actually my father introduced me to rock/hard rock after giving me a few tapes with songs of Queen, Steve Miller Band and Scorpions (in order to stop me from playing all day my one tape of Elvis). Which are your best places to buy music? I buy at Ebay mainly, although it is not as good (and as cheap) as it was in the past. 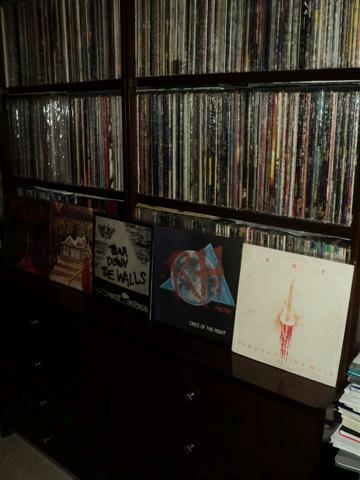 I also trade a lot with other collectors; I have extras of many vinyls, so trading is easy and fun. And I also find good stuff at the record fairs that are held in Athens. In the past I visited record fairs abroad but now it very difficult for me to visit them again. 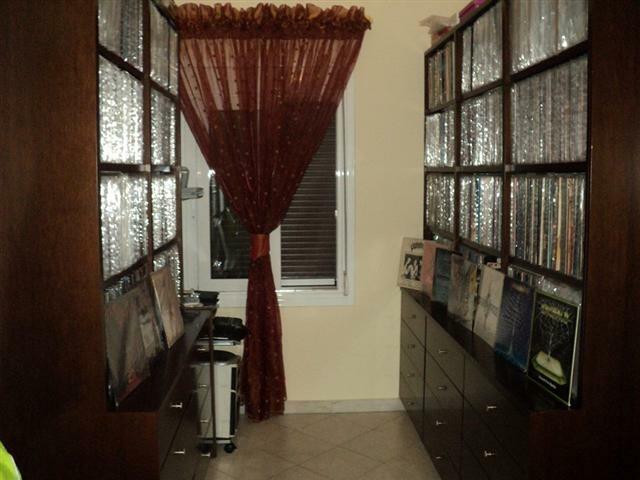 I used to collect every vinyl and CD I could get my hands on, by Manowar. Last few years, I prefer to get something I donâ€™t have instead of yet another Manowar collectible. Sometimes I download or use YouTube in order to listen to music that I have never listened. I use them as tools. If I like what I listen I buy it in physical form. I have listened to music everyday in my life. At the office, at my car stereo, at home, everyday. I donâ€™t have to analyze it. It is just a basic need for me. Any regrets of an item you sold/lost/gave away in the past that you shouldnâ€™t? I never sell records from my collection. Once I traded away some records in order to get a very rare one that I could not afford to buy. It took me some years but I found them again. Yes, 2 or 3 times I did. And that was mainly because they were CDs that I got for cheap and before I got time to listen to them, I found them again. What are the most valuable items in your collection? Do you also have a want-list? Silly question, of course you doâ€¦ how many items does it have? Do you have family and kids? Are they allowed to approach your collection? I am married and have 2 children. And NO they are not allowed to approach my collection. It was great buying records in the â€˜80s. Every record was an adventure, a discovery. The only way to find more info was through metal magazines (which were actually mostly writing about mainstream bands) and by exchanging info with friends. But internet was a revelation. I have internet access since 1995. A great tool! Damn, thatâ€™s a macabre question. Probably I would like it to be sold. I hear from many people that they it is impossible to build a good collection these days and thatâ€™s why they donâ€™t even start. Sorry but that is bs! Most just lack of patience. Donâ€™t forget, it took me 32 years to get here. Just be patient and enjoy the music! 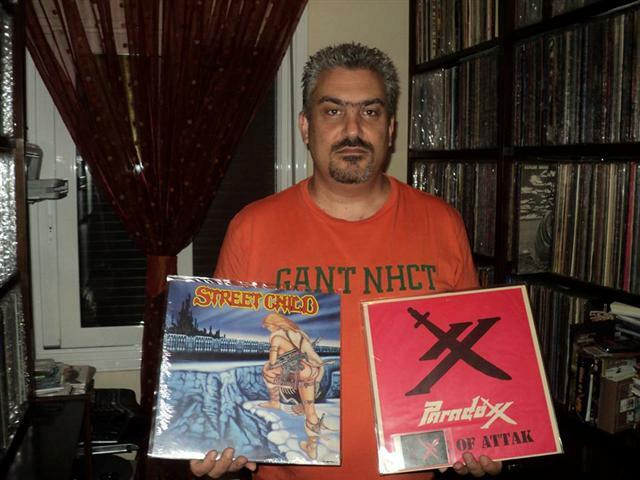 This episode, features Elias Chatzialexis, who has one of the biggest collections of heavy metal vinyls and CDs in Europe.